We created the Templar Series to help players get into a handmade guitar or bass. Because of the lower price, the Templar Series has limited choices. Two piece laminated oiled Maple neck with matching Walnut head cap. Only dot inlays or nothing. *You can choose a different bridge and/or pickups but there will be an appropriate up-charge depending on what you choose. If any changes are made other than those allowed above, this guitar will automatically up-grade to a Custom Bolt-on and the base price will change to the Custom Bolt-on base price. This model is also available as a bass. 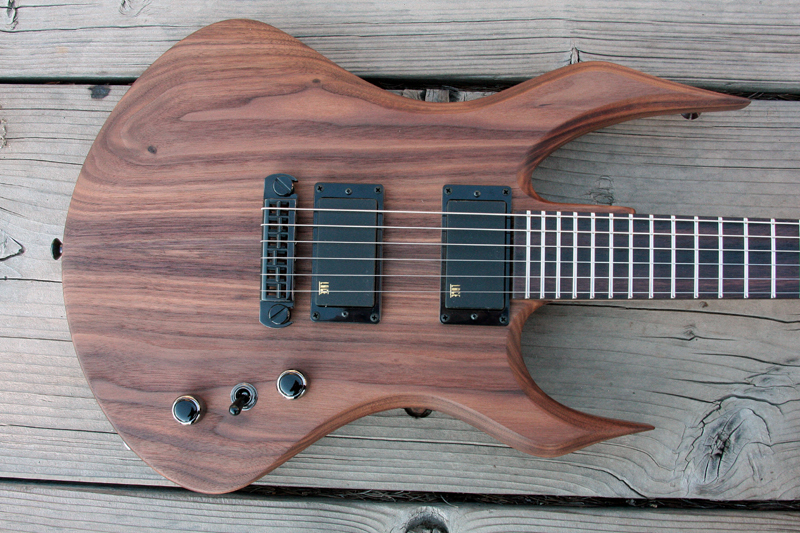 The Templar Wraith bolt-on guitar you see on this page is not for sale. It is a representation of what you can order. This guitar already belongs to a proud Moser owner. For ordering information please contact Earlleen at info@nealmoserguitars.com or call (520) 831-1658.